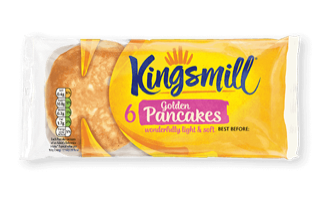 One of the largest bakery factories in the country and the first to have products supervised by the SKA, they produce under the names Allinson’s, Kingsmill, Sunblest, Hethertons and Burgen. 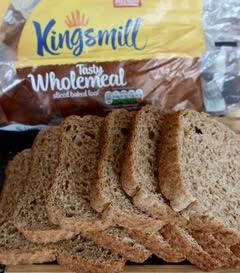 The most important product for customers wanting kosher food is their sliced bread which is available in supermarkets throughout the UK. 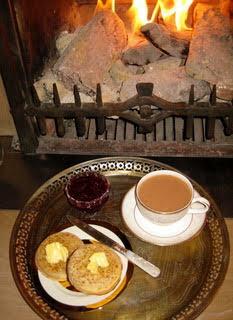 Their product range includes breads, rolls, muffins, crumpets, pancakes and teacakes. 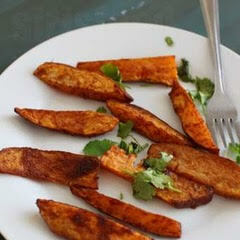 Best known for the fries (or chips as we know them), they prepare one in three eaten around the world. They are proud of their potato expertise, but also produce other snacks. Please click here for a full list of products listed under SKA supervision. Following consumer demand they realize that changing lifestyles mean that many people want ‘homemade’ food, but bought-in convenience. The SKA supervision has extended to 21 types of chips, including a gluten free one. Other products are hash browns, potato wedges and waffles. 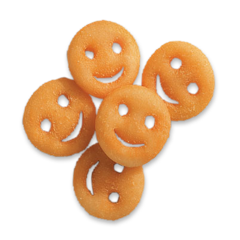 Most appealing is a snack called Smiles, little round potato faces. 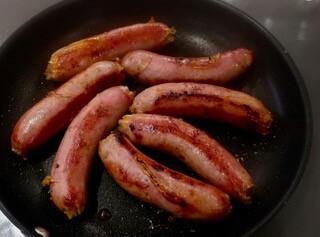 For over 20 years they have been producing a range of fresh meat cuts and sausages. Whole and sliced meats are available across the UK and in Europe. American All Beef Traditional Hot Dogs remain a top favourite. Not only are these sold throughout the UK and abroad, they are available at premier league football clubs. The company uses high quality Irish beef and is committed to constant improvement and product development. This is also operated by Gilbert’s. 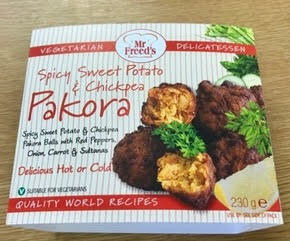 At their Milton Keynes factory they make a variety of vegetarian fried buffet products, as well as traditional fish party snacks. 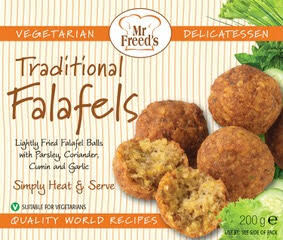 The recent addition of Mediterranean falafels and Spicy Pakora has proved particularly successful. “You can be sure it’s fresh – it’s frozen”. This is the message of Greenyard Frozen foods. They freeze locally grown fresh produce into bulk for packing into retailers’ bags of frozen vegetables and mixes. 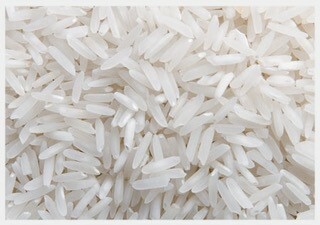 Freezing helps to retain quality and seal in freshness, locking in the goodness. 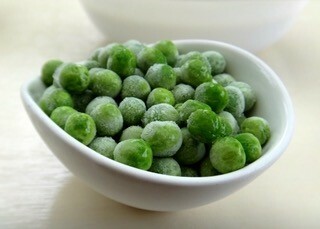 Frozen vegetables retain nutrients whereas fresh ones deteriorate with every minute after they are harvested. Frozen produce reduces food waste and ensures greater portion control, helping to cut food waste. Products under SKA supervision are peas, petits pois, broad beans, green beans, supersweet sweetcorn, sweet potatoes, carrots, edamame beans, broccoli, cauliflower, sprouts and rice. 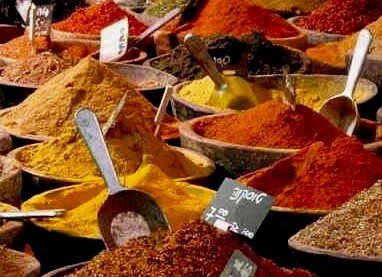 Their spice blends make cooking into a creative adventure. The right blend of herbs and spices makes a difference to the simplest meal. In minutes, an ordinary dish can be transformed into an extraordinary one – tempting, appetising food that tastes as good as it looks. 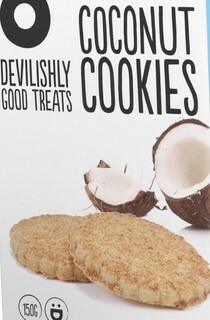 The challenge was to create quality gluten-free baked goods that are just as tasty and nutritious as regular products. 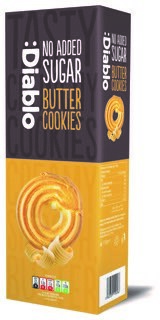 Twenty years of baking experience and know-how from their sister site in Israel, has helped them build sturdy foundations with a vision built on dedication and love. To ensure quality production they have a modern site that meets international standards. They have also taught their staff to believe in their values of excellence. Green Lite products have been extremely well received and now, five years after the local launch, they lead the gluten-free market. Looking to the future they are investing major resources in their research and development department. Everything is made in a gluten-free and peanut-free facility. 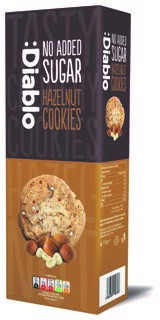 All their products are trans fat-free and coeliac certified, with many also being lactose and casein free. Their range includes Burger buns, sandwich rolls, bagels, dinner rolls, orange cake, marble cake, chocolate cakes and muffins.